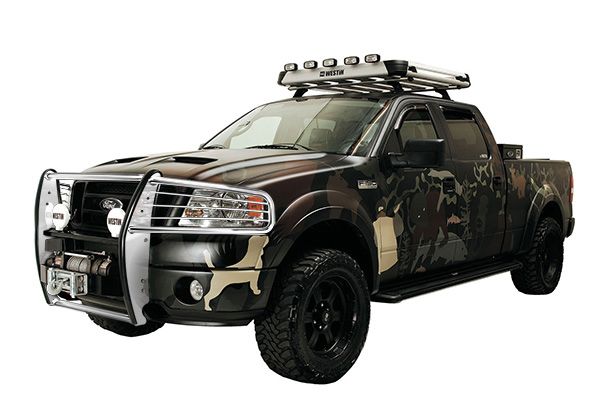 Let's talk about the bull bars for Ford F-150 - Ford F150 Forums - Ford F-Series Truck Community. So, guys, let's talk about the bull bars first. The importance of a bull bar depends on the type of trips you often take. Actually, bull bars have little to do with bulls but they have a lot to do with other animals, specifically deers. 3" Stealth series black powdercoat bull bar by Aries is manufactured to enhance your safety and minimize the damage your Ford F-150 2009-2014 may suffer. Plus, it also may be useful, if you do not want your new bumper to be scratched while parking. Last edited by carid; 09-10-2014 at 08:56 AM. Are you still looking for a bull bar? Look no further! 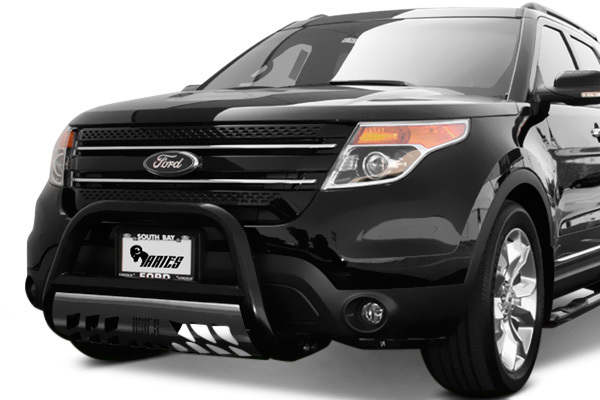 Extra grille protection got more affordable with a 5% discount on all Tuff Bar Grille Guards. Just apply this coupon code before the check out! 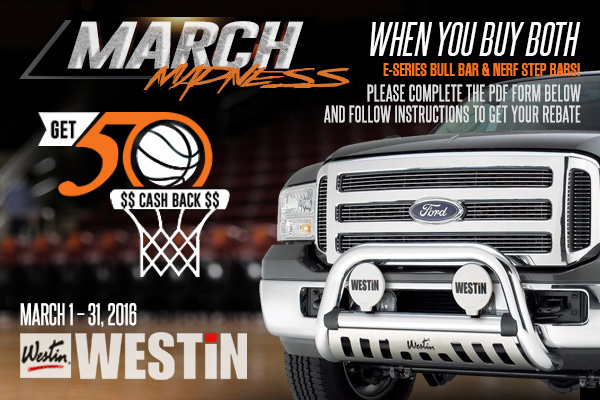 The spring is here and that means that we're ready to start our MARCH MADNESS from Westin! Now you are just one step away from upgrading the look of your vehicle! We will give you a cash back on every purchase of both of qualifying Westin E-Series Bull Bar and Nerf Step Bars. Promo Is Valid For: March 1 – 31, 2016 Hurry up! Make sure to complete this PDF form and follow instructions to get you cash back. Let me know if any additional questions appear.